Is Google Getting out of the Mapping Game? Emerging GIS may not be what you think! In this post I am going to return some of the discussions we started last year with our “Is GIS Splitting” post. The general consensus from these conversations was that we are seeing a polarization of GIS. Traditional GIS remains solidly in place, but a new emerging GIS sector is developing. Let’s discuss this polarization. I’ve described traditional GIS as ‘business as usual GIS’. That sounds a little belittling, which is not the intention. GIS has a long history. It has and continues to serve well the geospatial community. Traditional GIS is the bedrock of the discipline. Attend a GIS conference and you’ll be surrounded by peers who talk, think, discuss, and present on deep geospatial issues. Traditional GIS is our comfortable GIS niche. Happy New Year. Like many other we have been mulling over our 2015 GIS predictions. But before we jump in let’s review 2014. We saw GIS in 2014 as a year of advancement and self examination. Mobile technology, fed by data and services in the cloud, has put location on the tips of many tongues. We don’t actually believe GIS is splitting, but it is definitely changing. In 2014 we saw a more polarised GIS sector; on one end traditional GIS, or business as usual. On the other emerging GIS; the wild west of GIS: uncharted, rule free, a little scary, but filled with opportunities. We also began to see discussions on these changes, challenges and opportunities. Location analytics is much discussed in GIS circles. We felt taking the gobbledegook out of location analytics was long overdue. Many organizations new to GIS are still grasping at the basic GIS concepts, throw the language of location analytics into the mix and you end up with ?????? The typical output from current business analytic systems is in the form of statistical reports. These usually summarize data in tabular form, often including graphs and charts. Analytics are often implemented as independent business intelligence (BI) systems but can also be part of larger enterprise systems, like customer relationship (CRM), enterprise resource (ERP), and resource management systems (RMS). Where are our assets, where are our customers, where are our sales? Where is at the heart of GIS. Visualizing data through maps, and spatial analysis. Spatial analysis …. we are in danger of straying into gobbledegook territory. Keep reading! The geotechnology industry has always used interesting terminology …. geospatial, GIS, geomatics, Géomatique. As we discussed in a recent blog post called GIS is Changing, we seem to have have developed our own language. Location strategy is somewhat easier to understand. Well maybe. What exactly is a location strategy? Historically where has not been important outside of the geotechnology or GIS industry. But increasingly business executives are realizing that thinking geographically can improve their business and organization: saving money, and helping in the decision making process. Much of this awareness has come from the popularity of cloud and mobile computing. 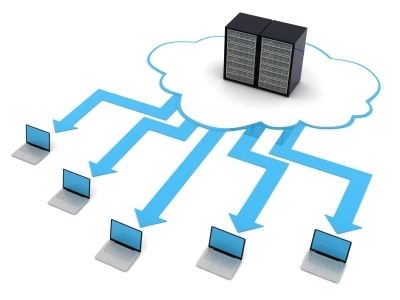 The cloud has made a plethora of services available 24×7. Geographic or geospatial services, which answer the where question, are among these many services. ArcGIS Online from Esri is a good example of such a service. We are seeing a clear split in how these various service are being used. The consumer and advertising location-based search kind of experience is a key part of the Apple, Google and Bing offering. GIS in contrast is focused on managing authoritative data sources. Thus supporting geocentric workflows like fixing roads, making cities more livable through better planning, environmental management, forest management, drilling in the right location for oil, managing utilities, assets and people. What do we mean by authoritative data source? It provides the most complete, most accurate and most timely data, it has the best structural conformance to the data model, it is nearest to the point of operational entry and it can be used to feed other systems. Traditionally heavily used in the public sector, GIS is now seeing dramatic growth in the commercial sector. This will accelerate over the next few years, with greater access to maps across organizations and the increasing use of GIS to manage the business. The increasing popularity in GIS, and changes in the traditional user base, has created much disruption in the GIS industry. It would be an overstatement to use the term chaos, but considerable change and self examination is underway. More on this in a future post. At WebMapSolutions we have geared ourselves up to help a new set of industries and users. We have GIS jumpstart processes in place to help organizations implement and use GIS. Contact us for more information 801-733-0723. An odd title for a blog post: Web ArcGIS apps are amazing. Why would we make such a profound statement? We still see mobile and web apps treated separately. “Mobile enable your web page” we hear. Have clever ‘native’ developers build your iPad, Android or Surface Pro app is another. Web technology is wonderful. Anybody with a browser can use a web application. That means access from any device: office PC, smartphone, tablet. But what we can do in an ArcGIS web application is limited right? Splitting, bifurcating, expanding, maturing, polarizing …. GIS is changing. We are living through a time of transformation in our industry. The advent of cloud and mobile technology has put much focus on location, and technology which is location focused. That’s our technology. Demand is growing from outside our industry for the output from a GIS: mapping, analysis, discovery and more. But the question has to be asked: are these winds of change internally driven or fueled by this new demand? The recent blog post I wrote asking the question “Is GIS Splitting?” was met with a large response. Splitting suggests two or more disparate parts. Joe Francica at Directions Magazine in a podcast discussing the question suggested maturing or expanding (note, the term “splitting” was used in the original post to start the conversation. I agree with Joe and most of those who responded, that GIS is actually expanding). Terminology aside, there is a strong suggestion that two clear-cut communities are evolving: “old and new” (note, though i will use these terms in this post I actually prefer “traditional” and “emerging”). And that the marketplace is driving this divide. The “old” serves predominantly the current user community. While the “new” is focused on the newly emerging user base. Geospatial, geotechnology, geomatics, Géomatique, mapping …. I’ve never hidden my dislike for the term geospatial. It is off-putting, confusing and to some degree intimidating to those outside the industry. Maybe most importantly it poorly communicates what we do. As the conversation Joe started suggests, old GIS is happy with our current vernacular, while new GIS sees change (additions/updates) as essential to help communicate with, and provide solutions to the new user base. I agree with Clark, this status-quo serves old GIS well. But for new GIS, are we missing a third expert or at least skillset? Those who can understand the challenges faced by the “new” user base. Who can talk a common language and present appropriate understandable approaches and solutions. There is little doubt that GIS practitioners are worried about their future. They see their value as eroding, and wonder if they should become more certified (GISP) or learn programming. Publishing a map is one thing, understanding the data and concepts is quite another. Ever more computer scientists are learning GIS concepts, and applying their IT skills within our industry. But this proposed third group (I’ll call them location specialists) is rare. There is no training or even widespread recognition of their need. But for new GIS to flourish we need ‘translators’. We need individuals, who understand the challenges faced by the wider ‘non-GIS’ community. Who can bridge the divide, and communicate spatial solutions to a new set of problems, targeted at a new diverse group of users. One can speculate on the source of these ‘translators’. Maybe from two directions — analytically thinking GIS’ers and spatially thinking domain experts. Since GIS education has not made its way across campus, the latter group remains small. The widespread adoption of SpatialSTEM at the college level, is potentially very important. There seems little doubt there is a shift underway in our industry. A new very large potential user base has emerged, which is driving change. As an industry we are in the recognition and defining phase. And there is plenty of resistance. My opinion is that we will over time see greater recognition of this divergence, and an increasing effort on the part of our industry to bridge the emerging divide. Old GIS continues business as usual. Those focused on new GIS are entering new uncharted territory. Opportunities and challenges abound. As the saying goes change is good. At the minute two communities have emerged inside our industry: the “old” and “new”. Will they coalesce or remain separate? Only time will tell. Strong Response to Podcast on Is GIS Splitting? GIS faces huge challenges. Far greater than it faced in the 90’s with the explosion of the Internet. And the opportunities for those who solve these challenges are unprecedented. GIS is moving from being a peripheral, niche technology to an integrated core technology. Let me repeat that: GIS is moving from the periphery to the core. This is at the heart of both the challenge and the opportunity. What this means is that .. none of the old rules apply. Sure the core technology remains the same. And is evolving at an astounding pace. But the technology is one thing, how we talk about, and apply it is quite another. We have a new set of users. A much wider group who neither understand nor care about GIS. What do we mean by GIS Integration? In previous blog posts we’ve discussed the split in GIS. Not so much a split in the core technology, but in the users served and thus solutions provided. Traditional GIS will continue to support GIS professionals. “New” GIS is now serving a far wider user base. These are users who want to move beyond charts and graphs and visualize data on maps.To query business data based on location. These are users who want to replace their use of pen and paper while in the field, with mobile GIS. They want have access to maps and data in both populated (connected) and remote (disconnected) areas. There is much much more. Its an exciting future. But just how do we bring GIS to this wider set of users? Through integration that is how.